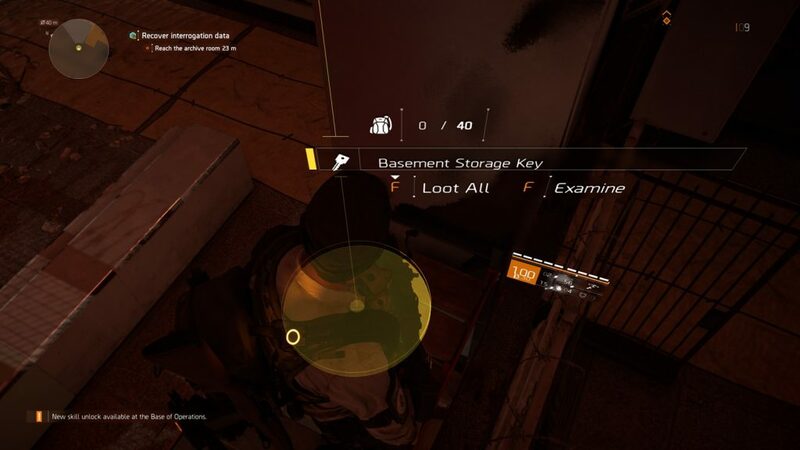 Basement storage key is an item in The Division 2. It can be found during the American History Museum mission, but a lot of people have no idea what it opens. You can use it to unlock a secret door that leads to a room with some nice loot. This guide will show you how to get Division 2 basement storage key, where to use it. The basement storage key is a random drop in the American History Museum mission. One of the many enemies you shoot down during this operation will almost certainly drop it. It’ll have a yellow glow, so it’s hard to miss. The bigger issue here is what to do with it once you have it. Where to use basement storage key? While you’re heading for the archive room, you’ll pass from the jungle area, through the Patriotism and Protests exhibition, and reach the elevator leading to the archives. Drop down the shaft and as soon as you exit, you’ll see a chainlink fence with a locked gate on your right. The key can be used to unlock that gate. Inside, you’ll find a couple of boxes filled with loot. We got some pretty nice stuff there, including a vanity item. It’s a great way to pick up some extra loot every time you replay the mission, but it’s the most useful if you find it on your first tour. If you’re having any other issues with the game, we suggest you take a look at some of our other guides. We’ve written about mask locations, backpack keychain trophies, SHD tech, exotic weapons and how to get them, hyena chests for the Chatterbox P90 SMG, dark zone chest locations, various side missions and much, much more. We searched every single corner! You really help me a lot with each game. Make sure you open the door before completing the mission, or the key will leave your inventory. Go back before leaving the basement!